Great visionaries from Ralph Waldo Emerson to Thoreau have drawn inspiration from the forest canopy of the Adirondacks, writing of its enchanted mountain peaks and igniting passions to explore the depths of nature—Adirondack Park is a gift to all who discover it. Larger than Yosemite, Yellowstone, and the Grand Canyon combined, the Adirondacks are a natural splendor that promises adventure. Crest any of the 46 High Peaks to see why this park is deemed "forever wild," stroll charming villages to feel warmth and liveliness in the farm-to-fork restaurants, or explore historic fortresses that take you through the centuries. Wherever you go, you&apos;ll find a lot to love in the Adirondacks. 1. The Wild Center—a natural history museum that draws you into the vast beauty of Adirondack Park through interactive exhibits and hands-on learning. Check out the museum&apos;s Wild Walk Treetop Trail where a trail of bridges takes you into the forest treetop as well as animal exhibits and films that bring a new perspective to nature. 2. 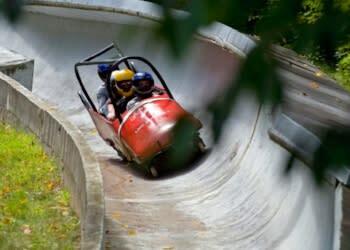 Olympic Complex—Home to the 1932 and 1980 Winter Olympics, Lake Placid is a cultural hotspot where you can race like an athlete at the Lake Placid Bobsled Experience, tour the Olympic Museum, get up in the air on the Cloudsplitter Gondola to Little Whiteface, and much more. Grab Olympic Passports for the kids. 3. 46 High Peaks—Summit any of the 46 High Peaks, look down on hidden lakes and granite rock faces, and absorb the beauty of Adirondack Park that is "forever wild." The largest protected land in the Lower 48, the region is a mix of pristine wilderness and modern culture. 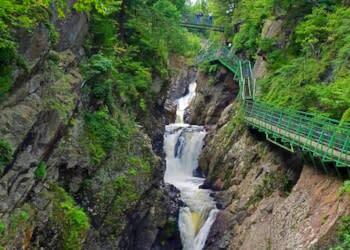 High Falls Gorge—Beautiful waterfalls are that much closer at High Falls Gorge where kid-friendly trails bring you to four waterfalls on a 22-acre nature preserve. Providing safe, easy access for visitors of all ages, this park is perfect for scenic walks, picnics, and views of the Ausable River as it cascades over granite cliffs and into the ancient gorge. Have a casual lunch onsite at the River View Cafe. Adirondack Extreme Adventure Course—Ever dream of flying? Well, this skilled team can take you pretty close. Get up in the air with the tree-top challenge obstacle course, six aerial adventure courses, 120 obstacles, zip lines, jumps, rope swings, slides, and ladders—it&apos;s a thrill for the whole family. Six Flags Great Escape & Hurricane Harbor—Time flies when you&apos;re having fun, and with over 135 rides, you&apos;re bound to have a blast at this park. 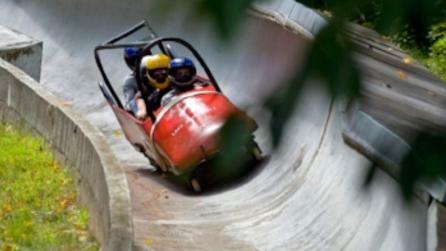 Located right by Lake George, it&apos;s a perfect adrenaline rush for the whole family. Wrapping along the shores of Lake Champlain, the Adirondack Coast is New York&apos;s eastern treasure, home to geologic wonders, waterfront retreats, and civil history. Head to Plattsburgh City Beach, one of the largest freshwater beaches in America, for sandy shores, kayaking, and sweeping views of Lake Champlain. Crest the waves with your rental canoe or stand-up paddleboard from The Kayak Shack—it&apos;s a fun way to get on the lake or enjoy kayak tours with the family. Fed by Rainbow Falls to the south, Ausable Chasm is one of Earth&apos;s true beauties and a must-see when visiting the region. Hike the Inner Sanctum Trail and look straight into the 150-foot sandstone gorge, walk Elephant&apos;s Head Vista to view the plunging waterfall, or float down the deep canyon river with a skilled tour guide. Right next door, you&apos;ll find the Ausable Chasm campground featuring tent sites and cabins for rent, plus North Star Underground Railroad Museum which explores the history of the Champlain Line which led people to freedom by steamboats and canal boats on their journeys north. 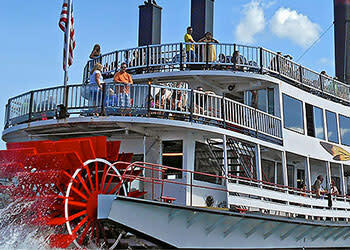 Cruise beautiful Lake George with the iconic Lake George Steamboat Company. Offering hourly scenic cruises around the southern basin, islands, and Paradise Bay, it&apos;s the best way to experience the lake&apos;s natural beauty and still have time for a full day of activities. An Adirondack icon since its establishment in 1817, the historic steamboat also offers special entertainment, moonlight cruises, and meals on the water. For a bird&apos;s eye view of the lake, check out Parasailing Adventures where you can fly two or three people at a time, guided by a professional crew for smooth sailing. Explore Lake George Village, lined with restaurants and boutiques; the area&apos;s down-to-earth vibe blends with its vibrant downtown to create a charming mountain community. Check out specialty shops like Silvermine, dine by the marina, then walk to Shepard Park or Million Dollar Beach for sandy shores, picnicking, and swimming. Visit The Hyde Collection Art Museum and Historic House, a fine arts museum with a range of collections from Renaissance paintings to contemporary photography as well as work by Picasso, van Gogh, and Rafael. Set in the Hyde House, a restored 20th-century mansion listed on the U.S. National Register of Historic Places, the museum is known for its unique displays and devotion to cultural education. 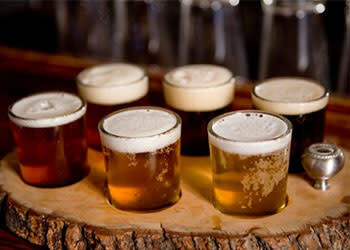 Enjoy lunch, craft beer, and a tour at Davidson Brewing Company. Home to the only brick kettle brew system in New York, the brewpub is serving up a variety of in-house ales including their signature IPA and Oatmeal Stout. If you&apos;re a shopaholic, head to the Factory Outlets of Lake George, just ten minutes from downtown Glens Falls, for top brands at a price that won&apos;t break your wallet. Inspired by W.H.H. 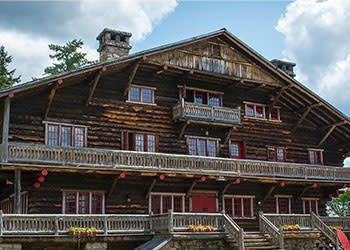 Murray&apos;s novel Adventures in the Wilderness, Adirondack Great Camps were designed to blend into their natural surroundings, offering rustic yet luxurious retreats for the Gilded Age elite. Today, they dot the northern landscape, offering a window into the wealth and charm of Adirondack Rustic. 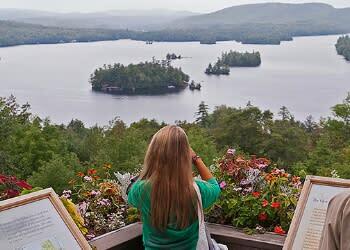 Sign up for The Gilded Age Tour, where you&apos;ll explore extravagant 19th-century luxury lodges and historic landmarks including Great Camp Sagamore, Raquette Lake, and The Adirondack Experience, The Museum on Blue Mountain Lake. Visit the Olympic Museum, an homage to the 1932 and 1980 Winter Olympics, an immersive experience into the history and excitement of the Games. Whether you&apos;re racing like an athlete at the Lake Placid Bobsled Experience or taking in panoramic views of the High Peaks at the top of the Jumping Complex—this place will leave you breathless. If the weather is right, water ski, wakeboard, wakesurf, or tube on Lake Placid with ADK aquatics or rent rowboats, canoes, paddle boats, sailboats, electric boats, stand-up paddleboards from Mirror Lake Boat Rentals for adventures on nearby Mirror Lake. For a family-friendly hike, try Mt. Jo, where even the littlest of hikers will be rewarded with stunning views for just a bit of effort. Families with young kids should expect the 2.6-mile roundtrip walk to take about two and a half hours—not including time for selfies at the top. Other options for families include hikes at Cobble Hill and Copperas Pond. Head to Wilmington, home of Whiteface Mountain, and see the beauty of the Adirondacks unfold as you ride the Cloudsplitter Gondola to the top of Little Whiteface. If you&apos;re looking for views on foot, hike the Whiteface Mountain Summit Trail, the terrain is challenging but the views are with the journey—hikers be wary, this trail is not meant for young kids. 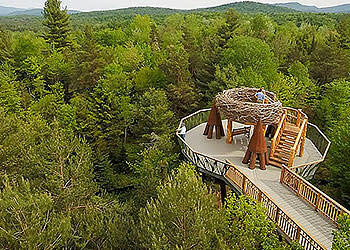 Experience the mountains from the tree canopy at The Wild Center, a natural history museum that draws you into the vast beauty of the Adirondacks through interactive exhibits and hands-on learning. The museum&apos;s Wild Walk trail of bridges takes you into the forest treetop as well as exhibits and films to bring a new perspective to nature. Explore the lakefront landscape with Rail Explorers, an adventure company with family-friendly pedal rail-bikes which operate like open air, personal trains! Follow the train tracks around Tupper Lake and along Lake Clear as you soak in the beautiful scenery. 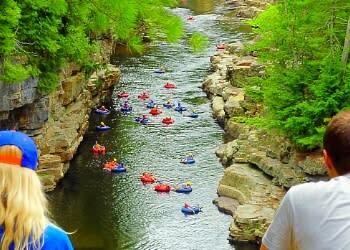 Team up with Square Eddy Expeditions for whitewater rafting on the Hudson River Gorge. Explore the central Adirondacks on this 17-mile wilderness adventure as professional rafting guides take you down Class II, II, and IV rapids March through October. View the Adirondacks from the sky with SunKiss Ballooning, a beloved hot air balloon company that flies at sunrise and sunset, it&apos;s a scenic adventure perfect for two people or large groups. If you&apos;re with the kids, hike Prospect Mountain—one of the most accessible Adirondack trails, it offers broad views of Lake George and beginner-level trails that everyone can enjoy. For a greater challenge, the High Peaks region boasts 46 mountain tops above 4,000 feet—making this a backpacker&apos;s paradise and one of the greatest wildernesses on the East Coast. 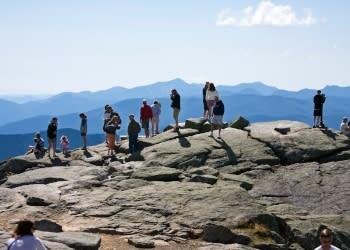 Home to Mount Marcy and the Gothics, visitors should consult a hiking guidebook or secure services of an Adirondack Guide before heading into the wilderness. Ever imagined what it would be like to storm a castle or defend a fortress against 18th-century colonial powers? 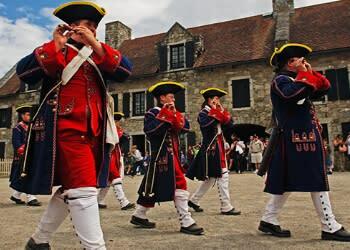 Visit Fort Ticonderoga where you can embark on behind-the-scenes specialty tours, including reenactments, an 18th-century weapons exhibition with the supervision and knowledge of Fort Ticonderoga&apos;s expert staff, and a tour of the Pavilion. Closed to the general public, visitors get a special look with the Pavilion Promenade tour. Sample the local bounty along the Adirondack Coast Wine Trail, a series of wineries and cideries threading the shores of Lake Champlain—the trail is a blend of colorful landscape and bold flavor. Canoe the Saranac Lake Chain—three lakes connected by the Saranac River, this natural linkage creates a 17-mile canoe and kayak route. St. Regis Canoe Outfitters will hook you up with their best tour guides and sporting gear including canoes, kayaks, and camping gear for rent. Cruise the water for stunning lake views and keep an eye out for bald eagles, beavers, and other wildlife. Explore the Adirondack Park on horseback with Emerald Springs Adirondack Ranch which offers guided tours and riding lessons—it&apos;s a perfect introduction to riding for the whole family. Heritage of Lake George—With an unbeatable location—a six-minute walk from lively Lake George Village—t his family-run spot has a lot to offer. Finely landscaped with a charming gazebo, picnic area, fire pit, and heated pool, guests are able to relax on and off the lake. Camp Driftwood—Since its establishment in 1919, Camp Driftwood has enchanted visitors with its authentic, cozy cabins in the lush forest surrounding Indian Lake. Offering easy access for hiking, swimming, and canoeing on the protected forest preserve—your stay here will feel like a journey back in time and a step closer to nature. Great Camp Sagamore—A former wilderness retreat for the Vanderbilt family is now a National Historic Site where you can stay. Activities include hiking on 126,000 acres of wild forest, bowling, swimming, paddling, fishing, communal dinners, and s&apos;mores by the campfire. All-inclusive packages are available. 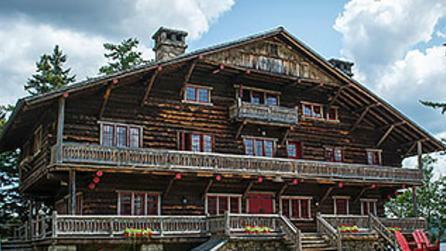 Alpine Lodge—Reflecting the unique regional style—Adirondack Rustic—this quaint, wood-paneled lodge is conveniently located near mountain trails, Gore Mountain Ski Resort, and Adirondack Extreme Adventure Course. Enjoy comfortable amenities including whirlpool tubs, outdoor porches, and kitchens, as you cozy-up in your chic, ADK-style room. Golden Arrow Resort—Nestled on the shores of Mirror Lake, you&apos;ll feel right at home in this family-run resort from the moment you walk into your stylish suite and onto your private balcony. A five-minute walk from Lake Placid&apos;s Main Street and the Olympic Speed Skating Oval—this comfy retreat is at the center of all things Adirondack. 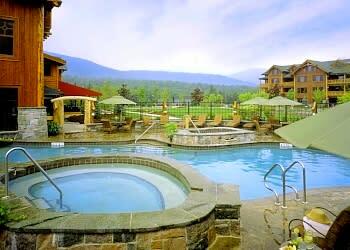 Stony Creek Ranch Resort—Imagine a beautiful, all-inclusive resort in the heart of the Adirondacks where you can go horseback riding, kayaking on the Hudson, enjoy riverside music, and much more. 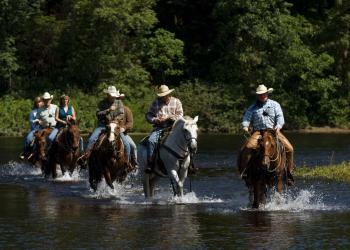 That’s the life at Stony Creek Ranch Resort where travelers and families experience the fun and relaxation of a ranch getaway. 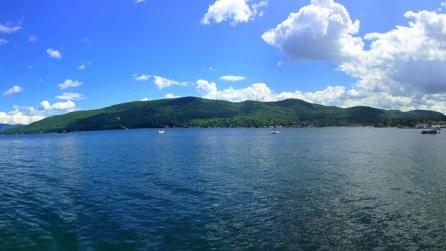 Just west of Lake George, it’s a perfect place to unwind for a weekend or a whole week! Hotel North Woods— Built in the heyday of the 1920s, this historic inn embodies the charm and quaintness of Adirondack heritage. Just a 14-minute walk from vibrant Lake Placid Village, its convenient location and homey atmosphere bring delight and relaxation to your vacation getaway. Whiteface Lodge—Nestled in the woodlands just outside of Lake Placid, find a perfect combination of rustic + luxury in the Whiteface Lodge. 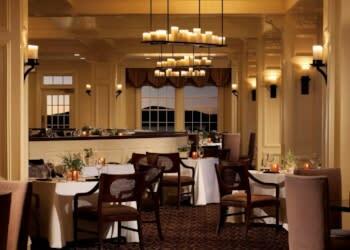 This AAA Four-diamond hotel has been named one of the 100 greatest in the world by Top Flight Network. Don&apos;t miss the spa. 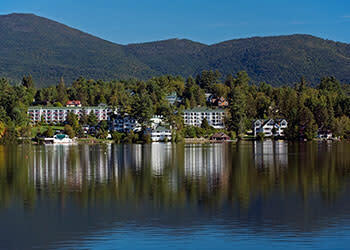 The Sagamore—The name itself exudes luxury and historic elegance—from its Victorian architecture to its waterfront terraces, the resort is a shining gem of Adirondack heritage. Built in 1883 on a private Lake George island, the ivory walls have housed America&apos;s elite and the Sagamore continues to enchant visitors with its beautiful grounds and accommodations including a spa, 18-hole golf course, and five tennis courts. 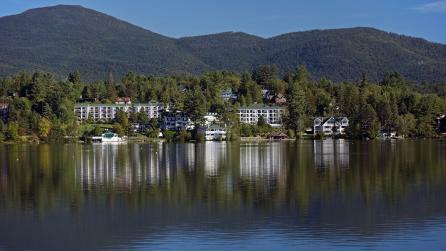 Mirror Lake Inn—Rich in history and character, this exceptional AAA Four-diamond resort is an iconic example of Adirondack luxury. Resting on the shores of Mirror Lake, the resort&apos;s plush suites offer beautiful lakefront views and novelty art adorns the walls of this 19th-century getaway. Enjoy full amenities, a spa, and renowned restaurants on the estate grounds—all just walking distance from buzzing Lake Placid Village. 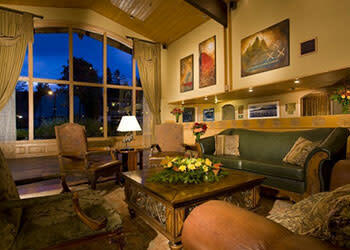 The Point—If you want to indulge in comfort and relaxation at an adults-only retreat, look no further than The Point. Built by the Rockefellers as a woodland retreat during the heyday of the Adirondack Great Camps, it reflects the architecture and glamour of The Gilded Age, plus the modern comforts of a luxury resort on the shores of Saranac Lake. 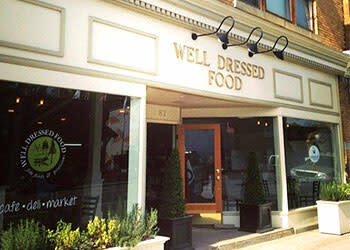 Well Dressed Food—Sharing a passion for exceptional food, the folks at this Tupper Lake eatery believe in every item, from hot paninis to hearty soups. Expect a comfortable, casual ambiance and flavorful fare that&apos;s won this place Trip Advisor&apos;s 2016 Certificate of Excellence. Emma&apos;s Lake Placid Creamery—A classically cool ice cream parlor that reflects the nostalgia and charm of Main Street USA, Emma&apos;s decadent sundaes and thick milkshakes make a day on Mirror Lake that much sweeter. 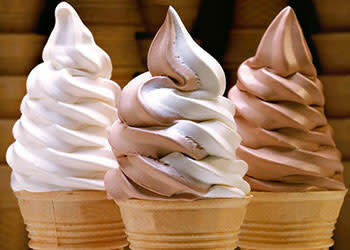 Try their maple ice cream soft serve—you&apos;ll be glad you did. The Cottage—Consistently named one of the top apres-ski spots, the Cottage at Mirror Lake Inn is open year-round for scenic views, American comfort fare, and nightly deals. Caffe Rustica—The CIA-trained chefs at this hidden Italian spot in Lake Placid serve up fresh Mediterranean and Italian meals like stuffed mushrooms, ravioli carbonara, lasagna, and a variety of wood-fired pizzas. 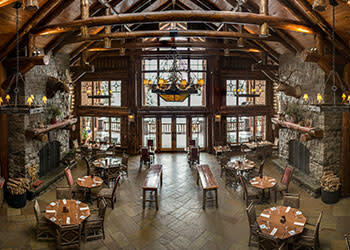 Log Jam Restaurant—A Lake George favorite serving up tasty American fare from hearty salads to flank steak, the restaurant&apos;s log cabin decor and stone fireplace blends Adirondack chic with comfortable, casual dining for a deeply satisfying dining experience. Lake Placid Pub & Brewery—With numerous awards spanning from Best Brewery in the Adirondacks 2016 to the 2016 New York International Beer Competition bronze medal, this brewery is a sought out destination for craft beer lovers across the country. 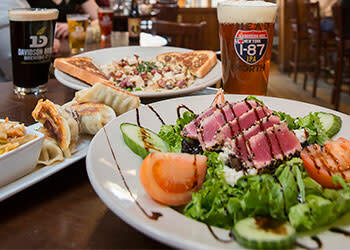 Pouring in-house ales and lagers, alongside traditional pub fare, this brewpub exudes warmth and liveliness. Basil & Wick&apos;s—With a broad menu of comfort food favorites from mozzarella sticks to sizzling specialty burgers, this restaurant caters to the traveler who is ready for a hot meal after a hike. Serving up food-friendly ales and wines in a lively, family atmosphere, you&apos;ll see why Basil & Wick&apos;s is always "on the way" after a day in the Adirondack Park. The View at Mirror Lake Inn—A truly exceptional dining experience, The View is Lake Placid&apos;s only AAA Four-Diamond rated restaurant. Granted the Award of Excellence by Wine Spectator for sixteen consecutive years, it&apos;s a romantic spot with elegant dishes and unpretentious ADK charm. Kanu Dining Room—Cooking up creative American cuisine, this upscale dining venue at Whiteface Lodge is the epitome of Adirondack rustic chic. Offering festive fare from fresh farm greens to NY strip steak in the Great Room at Whiteface Lodge, a meal here is a special treat to top off your northern vacation. The Owl at Twilight—A hidden gem that will surprise and delight you, the Owl at Twilight offers a creative menu that brings a refreshing twist to fine dining—from their oven-roasted wild mushroom dish topped with goat cheese, to their Latin-inspired mojo marinated chicken and roasted garlic potatoes—you&apos;ll quickly see why this off-path eatery is praised by foodies across the region. • Adirondack Park can fit six million football fields inside it. • The source of the Hudson River is Lake Tear of the Clouds, located on Mount Marcy. 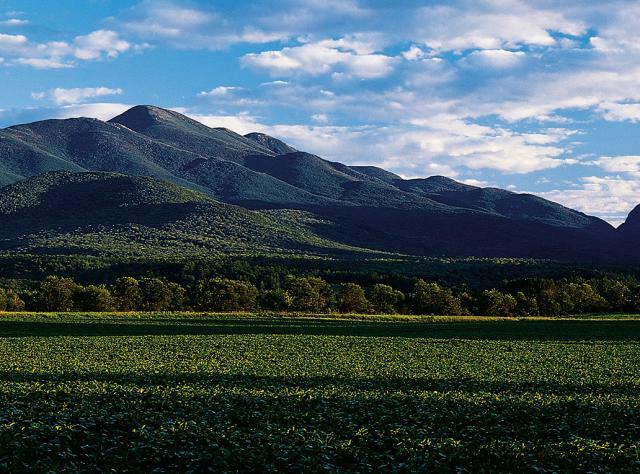 Marcy&apos;s summit, at 5,343 feet, is the highest point in New York State. • The Adirondack Coast of Lake Champlain is home to the "Largest Macintosh Apple Orchard in the World," Chazy Orchards. • In 1892, the Adirondack Park was designated "Forever Wild" by the New York State Constitution and is only one of three such areas to claim this special designation. Take Amtrak or rail to several regional stations including Glens Falls, Fort Edward, Whitehall, Lake Placid, Ticonderoga, Port Henry, Westport, Port Kent, Plattsburgh, and Rouses Point. Interstate 87 and 81 make traveling by car easy, quick, and affordable. Several Adirondack Scenic Byways crisscross the region, from off-the-beaten-path attractions to historic locations and incredible museums—taking the scenic route can be an adventure! If you&apos;re flying Jetblue, visit Jetblue.com/ILOVENY for special promotional offers to upstate New York. Whether you&apos;re traveling near or far, there are two regional airports that service the Adirondack Mountains, including Adirondack Regional Airport at Lake Clear and Plattsburgh International Airport. 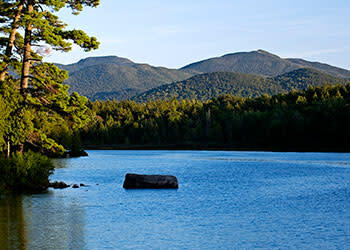 Adirondack Park is also accessible by car when flying into Albany International Airport. Adirondack Trailways offers service from New York City and other New York State locations so you can access a variety of Adirondack locations.